Toronto's Dr Teodor Grantcharov has developed new technology, a "black-box" similar to those in aviation, which records all aspects of a surgical procedure to improve performance of all members of the team. Flying an aircraft with its complex systems requires a high degree of safety. Long ago, the industry developed flight recorders, that collected data and cockpit voices so that in the event of an accident, investigators could determine what may have gone wrong. 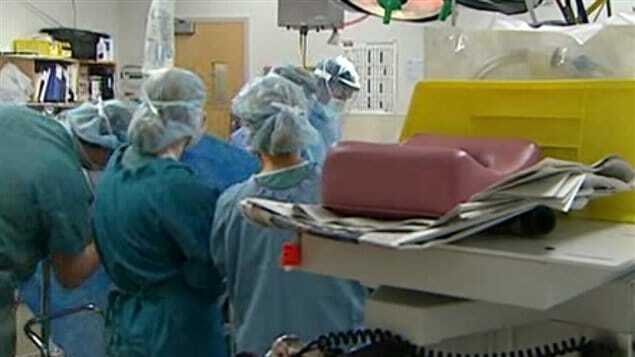 Now a doctor in Toronto has developed a similar “black box” system for the operating room. Dr Grantcharov says his system records all aspects of an operation, through cameras microphones, and includes other parameters like room temperature, and patient conditions. He says it notes even minor deviations from the perfect situation, adding, that no operation is perfect. He says surgery is a high performance, high risk profession and “we’re all human, and we can all improve”. All OR staff can see and reflect upon their performance and actions throughout the operation, where someone has made an error, or simply where an action can be done in a better way as surgery is a team effort, not just that of the surgeon. The advantage of his black-box concept is that the whole operation and all aspects of it can later be reviewed carefully by analysts and the surgical team. He points out that the hospital research team has people who are experts in analysis of technical skills and team performance. They can analyze other things like the safety of equipment and human factors. During such assessment errors, lapses, or deficiencies are pointed out. They could be as minor as a surgeon momentarily losing sight of a suturing needle. Or they could be as major as grasping a bowel too hard and causing a perforation. However, the black box also shows where things are being done efficiently and to best practices so that those can be observed and later practiced by others. Its important to get the message out that this technology is not to find blame, but rather so that people can improve. He notes that as part of a pilot project he has been recording his own surgeries and finds that it has helped him improve. “It can help tell us what went wrong. Was it a human error? Was it technological malfunction? What information can we give the manufacturers to make it safer next time?” he explains. Dr Grantcharov plans to publish results of the pilot project in a peer-reviewed medical journal next year, and in a few weeks he will describe how it works to contemporaries at the American College of Surgeons conference in Washington, D.C. He notes that further trials with the prototype of his “black box” technology will take place in a hospital in Copenhagen starting in October. Eventually, he thinks it could become standard procedure in all hospitals and surgeries. I have operated since 1978 and during those years I have operated with other surgeons in other centers many times, usually to teach others as well as learn new techniques. I found I often learned helpful things from others even when I was teaching them. I’ve also taught dozens of Residents in training. There is a dramatic difference in their abilities at the end of their training But they all get the same degree or credentials. Some form of “black box” would be tremendous for the learner as well as the experienced surgeon. I completely support this concept for learning as well as credential follow up. Terrific concept! What happens when there’s medical malpractice involved? Could the information within that black box be held as evidence? My opinion, for what it’s worth — probably not! Doctors aren’t in the habit of squealing on each other. I can imagine there will be doctors who will be very unhappy to have this technology installed because they will no longer be able to hide mistakes. But perhaps this will eliminate some of the poor surgeons out there who should not be in an operating room in the first place. However, I think you can expect some push back from surgeons who will feel this is an intrusion and not appreciate “someone”looking over their shoulders. But given time, the system will be almost invisible and not noticeable. It will be interesting to see if this technology plays a part in finding doctors who take short cuts or if it will be allowed into the courtroom in the event of a trial. Lets hope it’s used for the purpose it’s designed for – to use as a teaching tool. It can be an excellent diagnostic as well as teaching tool. Is this black box for training purposes only, or can it be used in a court of law?